11 June 2011, the USA. Claire Manning, a charming young lady from Oklahoma, knows very little about Eastern Europe. She has just graduated from the University of Chicago with a major in comparative human development. As she feels she wants to be a teacher, Claire applies for a placement with Teach for America. The day after her graduation ceremony, she is already on her way to a place where the aspiring teachers’ training is set to take place. 24 June 2016, Bulgaria. 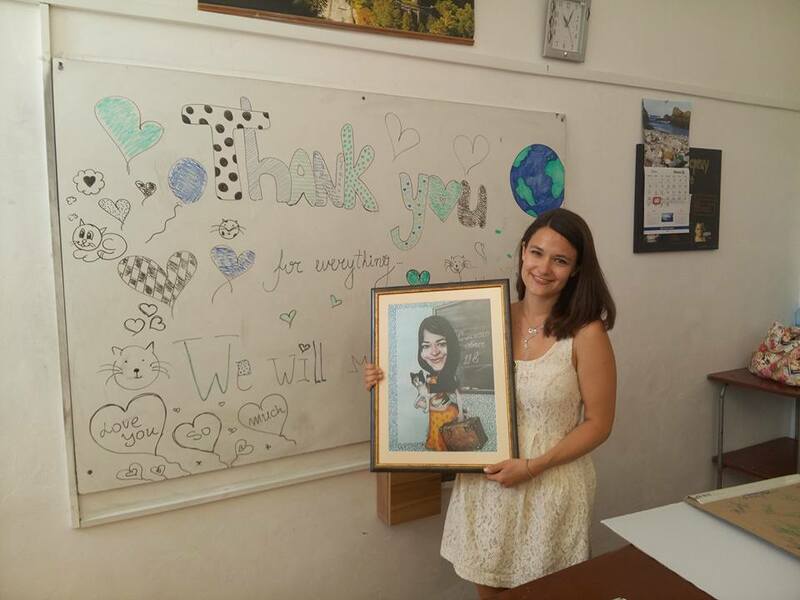 This is Claire’s last day as an English teacher at the foreign language school in the town of Sliven in the framework of Fulbright Bulgaria. 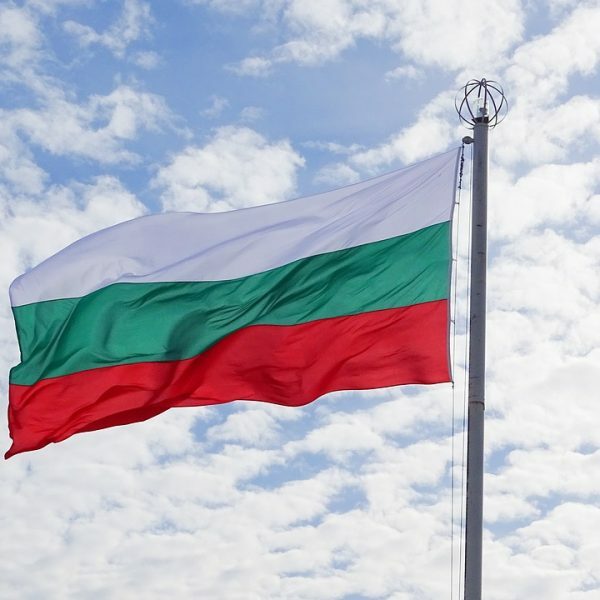 She has spent the past two years in the town of blue stones, teaching high school students, exploring the country, and enjoying Bulgarian cuisine. 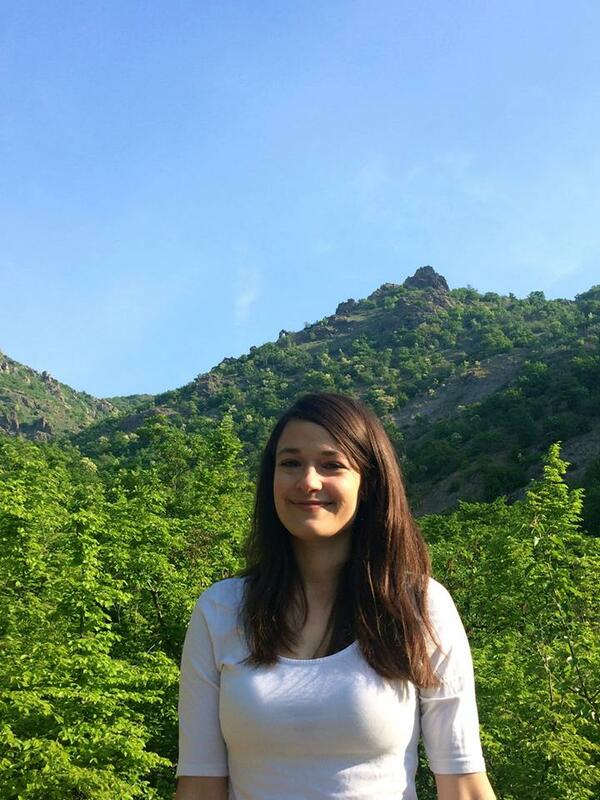 Prior to her arrival in Bulgaria, she spends more than two years as a Peace Corps volunteer in the Macedonian village of Mesheishta, just 15 km north of Lake Ohrid. February 2017, Hungary. Claire is in the middle of her second semester at Central European University (CEU) in Budapest, where she is doing a year-long Master program in international relations. As a colleague of her who comes from Southwest Bulgaria, I can only be grateful that I have spent the past few months in enriching conversations with Claire about Bulgaria, Macedonia, and the Balkans more generally. What makes me even happier is the fact that with every subsequent conversation, I get proof after proof that Claire is one of those non-Balkan people who are not simply interested in the region but genuinely like it and even misses it when they are away for too long. Even though she joined Teach for America with enthusiasm, Claire quickly realized the program was not what she expected. She didn’t like the training itself and that is why, just three weeks later, she gave up. Soon after she found out that she had been accepted as a Peace Corps volunteer. At first, she was supposed to go to Southeast Asia. The Peace Corps team changed their plans, however, and gave her a chance to choose between Eastern Europe and the Middle East and North Africa (MENA). Superstitious as she is, Claire decided not to decide threw herself into a completely unknowable and unforeseeable future. 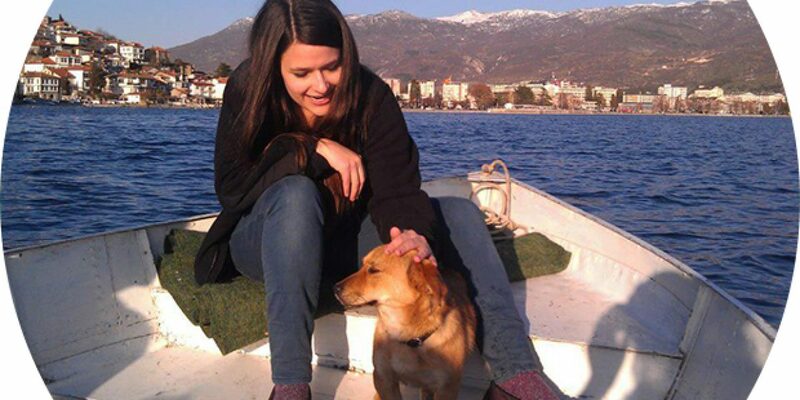 The Peace Corps sent her in Macedonia. Following an intensive training, which gave her a solid introduction to Macedonian, Claire ended up in the village of Mesheishta in the Debarca Municipality. Over the next two years, she worked as an assistant instructor of English language in the local primary school in which there were around 40 students from first to eighth grade. Together with the main teacher, she taught 15 classes per week. Despite living on her own, Claire integrated quickly among the 400 residents. There emerged a friendly atmosphere which, in her own words, resulted from both the locals’ hospitality and her genuine desire to speak Macedonian and get to know their way of living and culture. In addition to teaching in school, Claire helped several dozens of adults to make their first steps in learning English. They, in turn, expressed their gratitude by inviting her over for lunch or dinner. The young American also assisted the school administration in applying for funding, which would have allowed them to upgrade the heating system in the otherwise renovated school. Unfortunately, her efforts were not enough and students continue to have classes in cold classrooms during the winter months. While in Macedonia, Claire traveled extensively across the western parts of the country and, on occasions, to its east parts as well. Thanks to fellow volunteers and her local friends, she visited multiple sites, which have left a powerful impression on her, and got to know people from all walks of life. As her program was coming to an end, Claire had no doubts that she wanted to stay in the region for some more time. She applied for a placement as an English teaching assistant as part of the Fulbright Bulgaria program. The results were announced in April 2014: her next destination was neighboring Bulgaria. Claire landed in Bulgaria in September the same year. In compliance with the program requirements, Claire signs a 10-month contract. 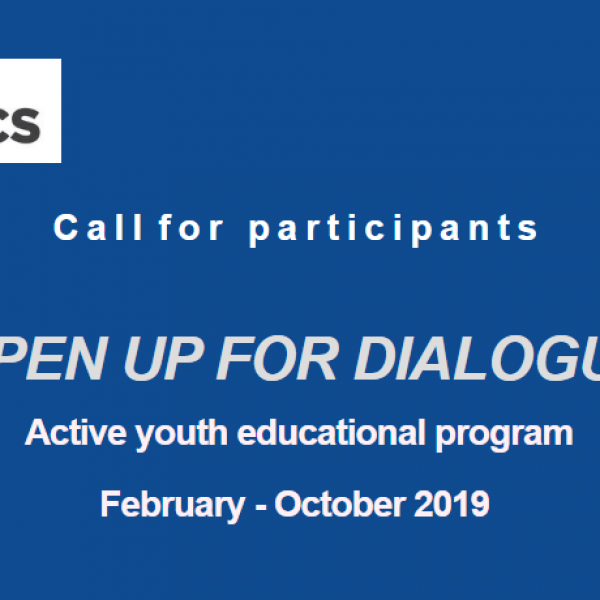 If the volunteers have a well-founded reason and are offered to stay for a longer period by a representative of the respective school, the volunteers can extend their stay for 10 more months. Claire thought students between ninth and twelfth grade, 20 classes per week. She was somewhat afraid at first because she learned she was going to teach on her own only after arriving in Bulgaria. Luckily, most of the students received her warmly, and she gradually gained more confidence in directing the whole process. She focused on helping the students improve their communication skills because she felt this is the area where she could contribute the most. To make them think and speak in English, Claire used no other language in the classroom but English. She enjoyed the liberty she had to adjust her methodology and the classes according to students’ language competence and interests. All this sounds like a fairy tale, but it wasn’t rosy and shiny all the time. For instance, some students opposed Claire’s willingness to introduce them to the American culture through celebrations on holidays like Halloween. However, the occasional tensions didn’t discourage her. Curiously enough, it is the students with whom she associates her most difficult period in Bulgaria who are also responsible for her most unforgettable moment in the country by celebrating another popular American holiday with her: Thanksgiving. While teaching in Sliven, Claire and her students celebrated not only American but also Bulgarian holidays. She says she likes Baba Marta the most because of the tradition of exchanging martenitsi, whose originality she considers more than charming. Claire’s last day in Bulgaria abounded in emotions so powerful that she had difficulties finding words to describe them. The classes she had taught over the past two academic years organized surprises for her and gave her presents. Of all the presents she received, one stood out immediately: a professional portrait of Claire holding her cat in her right hand and a suitcase in her left hand. Although she has been studying in Hungary since September 2016, Claire maintains her ties with Macedonia and Bulgaria. Every summer since 2012, she, supported by fellow volunteers, organizes a summer camp for children from the primary school in Mesheishta. The volunteers organize everything themselves. For several weeks, they devote themselves entirely to the little boys and girls, introducing them to the American culture and taking them on trips to nearby villages. The project is so successful that other volunteers throughout Macedonia have started organizing similar camps. Bulgaria has a reserved spot in Claire’s heart as well. She hopes that at some point she will have the chance to explore the western part of the country as well. In fact, Claire already knows that she will most likely go back to Bulgaria in May. The reason: some of her former students, who are graduating this year, have invited her to attend their prom. 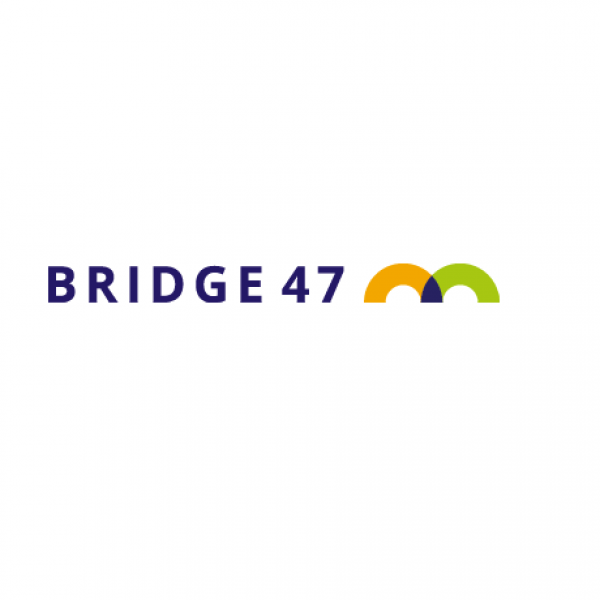 Bridge 47 Call for proposals: Share your innovations!